The United States of Wine - City Vino, Inc. 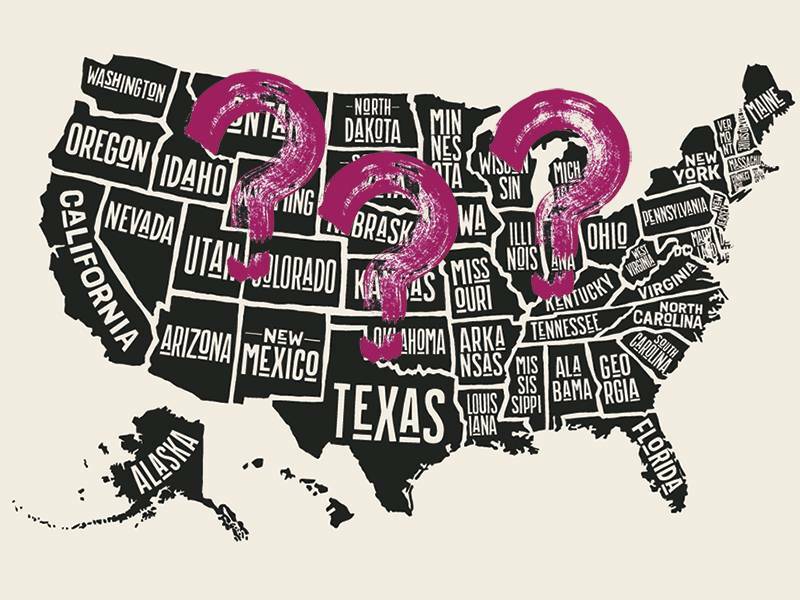 Wines from California, Washington, Oregon, and even Virginia are well known, but did you know they make wine in every state in the US? Among the states with the most wineries, New York, Pennsylvania, Texas, Michigan, and North Carolina are included in the top ten. Pennsylvania and Illinois produce approximately the same amount of wine by volume as Virginia. Regionally, the styles of wine produced vary according to climate. In the warm, humid southeastern portion of the country, the focus is on wines made from Muscadine, a grape that is native to the region. The grapes’ thick skins help them tolerate the warmer temperatures and resist rot caused by the ambient moisture. Texas, Arizona and New Mexico are finding success with varietals from Spain and southern France, such as Tempranillo, Albariño and Grenache, which are used to the heat and limited access to water. With many of their wine growing regions located in the higher elevations where nights get very cool, they are also able to produce wines with finesse from varietals that are used to cooler climates, such as Riesling and Sauvignon Blanc. While wines in the northeast are commonly made with concord grapes or hybrids like Vidal Blanc, there are plenty of wines being made with European grapes such as Riesling, Merlot, Cabernet Franc, Blaufränkisch and Zweigelt. The Finger Lakes region of New York is known for producing world class dry Rieslings. It’s not surprising that the grapes that do well in this region are ones native to the cooler parts of France, Germany and Austria. So the next time to consider a trip to “wine country”, you may want to look to states other than California.